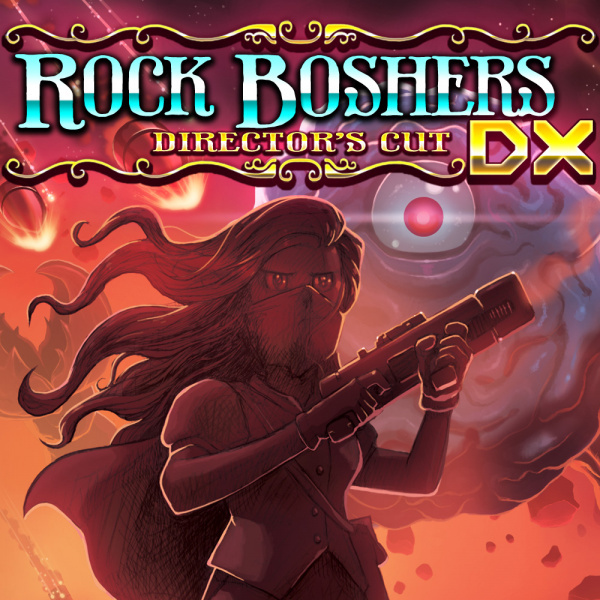 Steampunk wasn’t really a 'thing' back in the heydey of 8-bit video game development, but if it had been, there’s a good chance something like Rock Boshers DX: Director’s Cut would have appeared in glorious cassette or cartridge form. With its Victorian dandies on a space-age adventure for gold and glory, developer Tikipod has given us the kind of silly period sci-fi that would have had H.G. Wells jumping into his time machine posthaste. Coming from the same studio that gave us Aqua Kitty UDX (look out for plenty of Easter Eggs for said underwater feline scattered across the game), this unusual indie started out as a PlayStation Mobile exclusive before being given the ‘Director’s Cut’ treatment on PC and consoles almost four years ago. It’s even had an outing on PS Vita, so its debut on the semi-handheld Nintendo Switch certainly seems fitting. And while it's yet another port of a game that’s long been lauded elsewhere, its mixture of retro aesthetics, feet-tapping chiptunes and twin-stick shooting shouldn’t be so swiftly dismissed. The real fun is learning how best to take each one down, especially more than one kind are spawning at once. Orange larvae will slither towards erratically but can be briefly knocked away with a well-placed shot, while pink centipedes can’t be killed and will follow you wherever you go. You’ll need to lead them through a complicated path if you want to grab a key from a chamber or dead-end and avoid... well, a dead end. 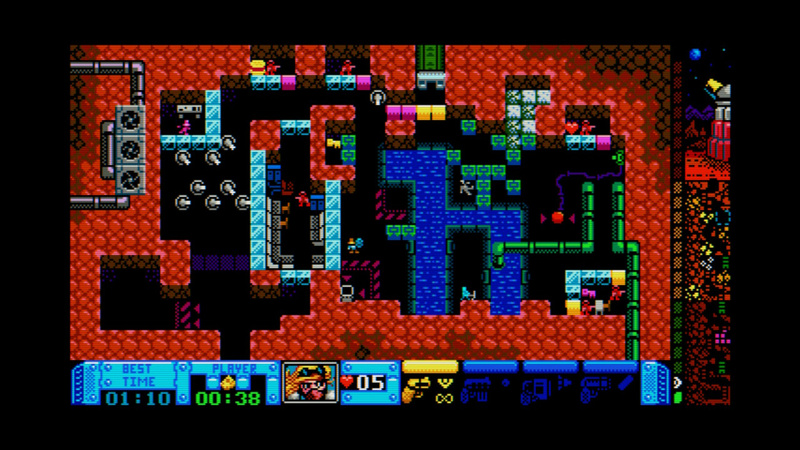 It can get really tricky the further you progress through its many levels and areas, but with a wealth of hearts to collect (each hit removes a heart) there’s always an ideal route through each map. Gotta say, it'd have to be one souped up ZX Spectrum to pull that many colors at once, but credit where credit is due, the aestetic is pretty spot on! And that sounds bonkers in the great way! 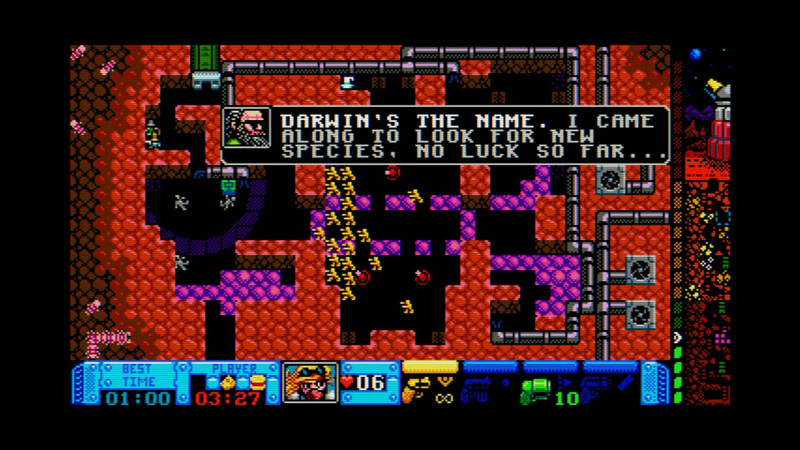 Been a while since I last took a Victorian Era crew on a Jules Vernian trip to Mars in Worlds of Ultima: Martian Dreams. You and me both, dude! That's the machine that taught me programming in BASIC, and it's where I played Roland in Space years before getting to play the actual classic Mario games. The Locomotive BASIC of the Amstrad was absolutely great at its time. How you can go wrong with that ? @Pod Loved the Roland games. Roland in Time was my favourite. Very similar to Roland in Space. The days of Pixle perfect jump timing. 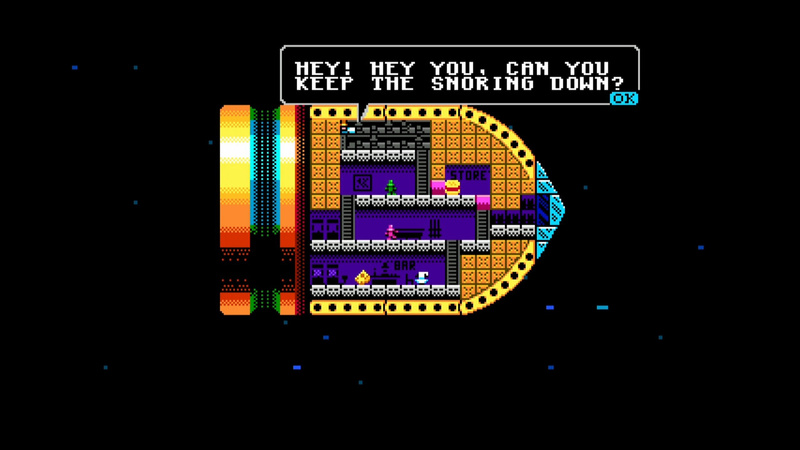 I loved how in some of the simple games, you could hit [ESC] and type LIST to print out the entire source code and study the structure. The magical and useful : POKE &bdee, &c9 ! @Gerald CPC games always had the nicest looking screenshots in magazines. They looked amazing...until they started moving. Depends what type of games and the quality of the developers. @Gerald 2 colours was more than some Amstrads had! Green and the absence of green. @Gerald Well...the C64 colour palette was shades of muddy brown. 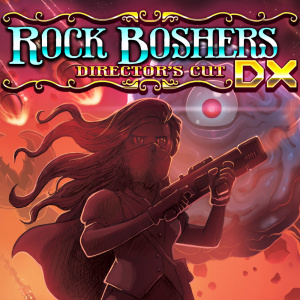 Loved this game on PSVita a few years ago! in mode 2 : 2 different greens. in mode 1 : 4 different greens. in mode 0 : 16 different greens. Replace "greens" by "colours" on a colour monitor. .....that's 15, what was the 16th one ? @Gerald Hummm difficult... hummm blue ? @Gerald @Cobalt And then along comes the C64, says SID chip and wins the console wars. Spectrum says 'but-' and Commodore says "Shhh, sprites and scrolling." Amstrad and Spectrum left scrapping for second. 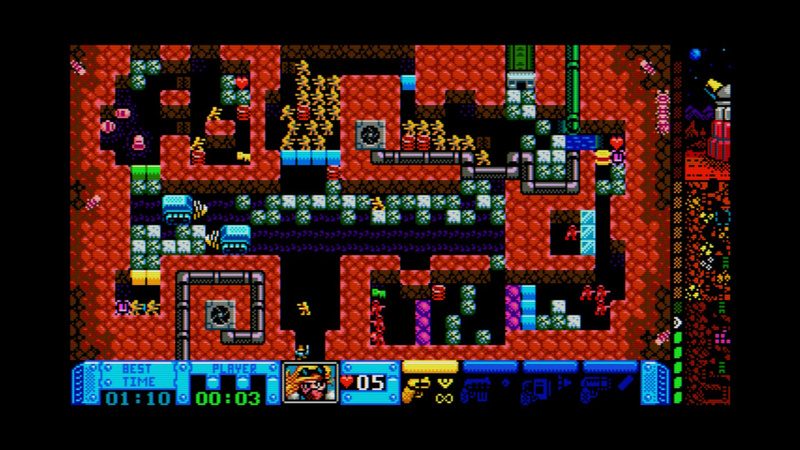 Reminds me a bit of looking at MasterSystem screenshots next to NES screenshots. One very obviously had the better colors and more of them. The CPC's real issue was sound though. With no dedicated sound chip, it was hard to do a lot while running graphics at the same time. It was outclassed hard by the C64. And as @GrailUK has the gall to remind us, C64 did throw around proper sprites like nobody's business. In the end, they all got their teeth kicked in on both fronts by the Amiga 500. @Pod @GrailUK The SID chip is awesome but Paula stays the best !